Hilton Worldwide has announced plans to open Iceland's first Canopy by Hilton hotel in the capital city of Reykjavik. 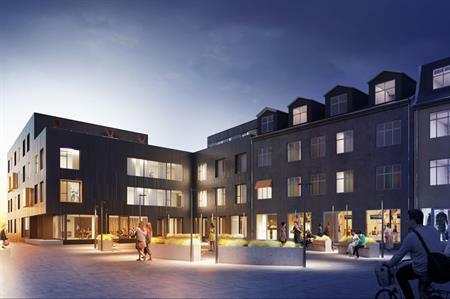 Canopy Reykjavik City Centre is now under construction on Hverfisgata St, a thriving city centre neighbourhood, and is slated to open in early 2016. The hotel will have 115 guest rooms and suites and its design will be inspired by its local surroundings. It will take up an entire block of Hverfisgata St, with the design retaining the building’s elegant facades, despite an entirely new interior. Facilities will include a rooftop bar and restaurant and a bistro, while wi-fi and a local breakfast will be included in the room rates.